With thousands of men away serving in the armed forces, British women took on a variety of new jobs during the First and Second World Wars. Many of these roles had traditionally only been done by men and were thought unsuitable for women because they were dirty or difficult. But now, all over the country, women became train cleaners, bus conductors, volunteer policewomen; they worked with dangerous chemicals in factories, drove tractors on farms and transported coal on barges. Women’s work would be vital to the British war effort in World War Two, so much so that it soon became compulsory (women had to do it by law). Early in 1941, Ernest Bevin, the Government Minister for Labour, declared that, 'one million wives' were 'wanted for war work'. Later that year, in December 1941, women began to be conscripted for war work, when Parliament passed the National Service Act. 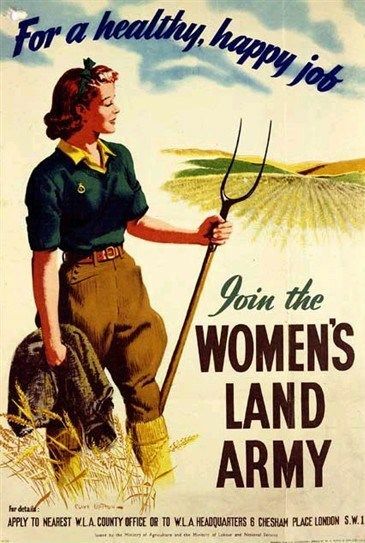 All unmarried women aged 20-30, (later extended to 19-43), now had to either join the armed forces, work in a factory or work on the land with the Women's Land Army. 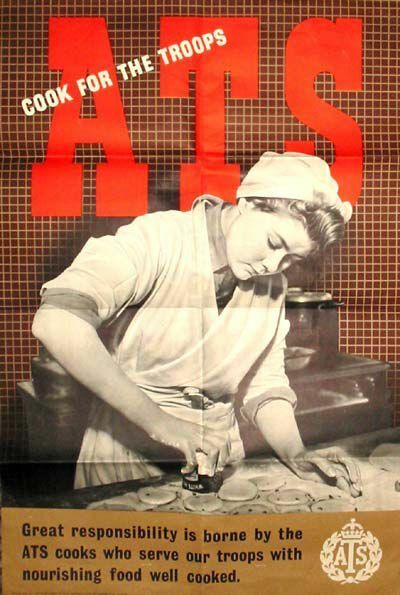 The ATS was the women's branch of the British Army during World War Two (see the ATS recruitment poster above). Women between the ages of 17 and 43 could join and, although they were barred from serving in battle, they could take on other roles, such as cooks, storekeepers, orderlies, drivers and postal workers. Later in the war, when there was a shortage of men available to do some jobs, women in the ATS became radar operators and anti-aircraft gun crew members as well. At the start of the war, the women’s arm of the Royal Navy was seen as a way of freeing men in non-combatant roles (like driving or cooking) to fight. 'Join the Wrens today and free a man to join the Fleet’, one recruitment poster urged. Nicknamed ‘Wrens’, these women went on to do extremely important and varied work, from code-breaking at Bletchley Park to operating radar equipment. Why do you think women were banned from fighting? Some people did not approve of women working in WW2. What reasons might they have had for this? When conscription was first introduced, only unmarried women between the ages of 20 and 30 were called up. - Why do you think this was? - Do you think this was fair? How you think views of women workers changed during and after WW2? 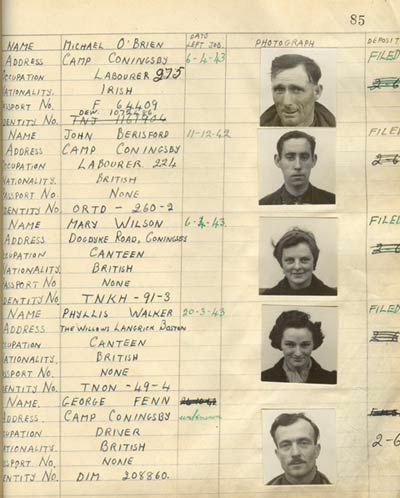 Do you have a female relative who worked in WW2? Are there still any jobs that women are banned from doing today? - Are women allowed to serve in battle today? - What sort of roles do women carry out in the modern armed forces? - Are there any different rules for women in the British Army these days? Look at modern recruitment posters aimed at women. Compare them to the ATS poster above and the WW2 recruitment posters on the Leeds University Wiki website (see link below). - How is the woman in the poster presented? - Is she shown as a professional worker? If not, why not? - What do you think of the work she is doing? - To what extent could the poster be described as presenting traditional ‘women’s work’? Using the poster images from the Leeds University Wiki page, compare the ATS poster to how women’s war work is presented in other recruitment posters. - What similarities are there between the posters? - How do they present women’s war work differently? - How might they be exaggerating or presenting things in a positive light? - Which war work would you prefer to do, just from looking at the posters?